In July of this year, the Derry made history after successfully winning its bid to become the first ever UK City of Culture in 2013. This successful win means that in 2013 Derry will play host to a year-long celebration of culture in the city, opening its doors to visitors from across the world. This is a new chapter in our journey from plantation to peace, and its legacy will last for generations. This announcement has attracted so many individuals from all over the world to see this new City of Culture. There are so many wonderful places to stay such as Derry Bed and Breakfast. This accommodation is located 15 minutes from the heart of the city and therefore the heart of all celebrations that this City of Culture brings. Derry year as UK City of Culture 2013 and the lead in year of 2012 will be one of the most exciting periods is the city’s future as we open our doors to the world and play host to events of global significance. The following events are already confirmed in our calendar. 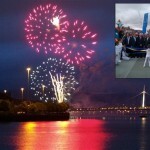 The Cultural Olympiad have confirmed that a series of events to be staged in Derry in 2012 in the run up to the Olympic and Paralympic Games. 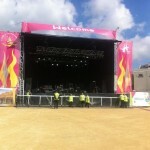 A major concert delivered by Peace One Day and international artists such as Deborah Warner, Jude Law and Jeremy Gilley will demonstrate the city’s appeal as a world class location for events. Derry, will be represented in the Clipper 11-12 Round the World Yacht Race with an official city boat in the race. In addition the city will be an official host port, welcoming the ten-strong fleet in July 2012 with a showcase festival at the end of the final transatlantic stage of the 40,000-mile race en route to the race finish. It will be the first time that Northern Ireland has been represented in the race which attracts a global audience of more than 460 million people. 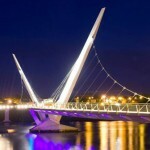 The City of Culture Celebrations in 2013 will see Derry host the Turner Prize Turner Prize, the most important event in the UK’s contemporary art calendar. This will be only the third time that this prestigious event has been moved away from Tate Britain, and the first time it has been held outside England. The Turner prize exhibition usually attracts between 70,000 and 90,000 visitors. When the event was held in Liverpool in 2007 as part of the city’s European Capital of Culture celebrations 71,000 people visited it and our city can expect a similar influx.